BioWare creative director Mac Walters told Game Informer that Mass Effect: Andromeda’s story will follow a different structure to that of the original trilogy. Specifically, it’ll be self-contained, albeit with the potential for further new stories in the Andromeda galaxy to be told. Details are beginning to emerge, just not about the story. 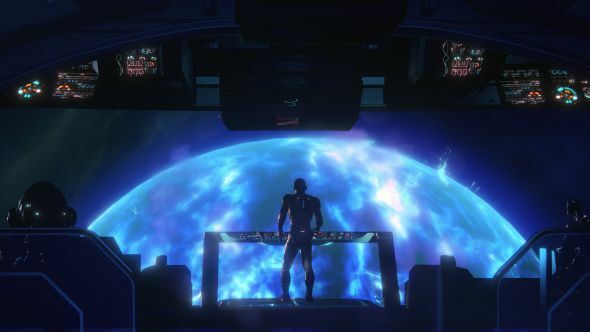 Here’s everything we know about Mass Effect: Andromeda so far. This pours a certain volume of water on some personal theories I had for the arc of the new game. Concluding it by contacting Earth, having established a tentative new colony somewhere in Andromeda, seemed a natural place to close one chapter in a possible trilogy, and offers the renewal of contact with the species of the Milky Way after 600 years as a natural place for Andromeda 2 to pick things up. Walters reiterated the comments in a rapid-fire question-and-answer session, in which he also confirmed that Andromeda’s campaign can be played offline and that your companions can’t die – which might disappoint those of you who enjoyed the high stakes of Mass Effect 2’s suicide mission.